Sample configuration and Pricing at our ONLINE STORE To BUY NOW Shop Online click here! Cepoint has upgraded some of its computing systems with capability to handle True 64-bit computing with AMD's fast Opteron processors. For more information check out our 1U Opteron Servers. Please Watch this page for upcoming news, product releases and other interesting happenings forthcoming. This page is been upgrade! so bear with us. 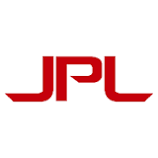 Cepoint Announces 1U 64-bit Fault-Tolerant Dual AMD Opteron Server. Nashua, NH. July 15, 2003. Cepoint Networks, LLC announces its Fault-Tolerant 1U (Model RS1007) and 2U(Model RS2007) AMD Opteron dual processor based turnkey Rack mount server for enterprise computing, telephony and VoIP applications in Linux or Windows environments. 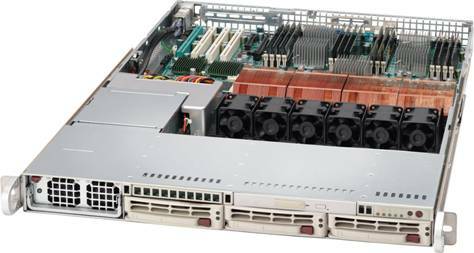 Cepoint�s fail-resilient 64-bit 1U server is one of the few 64-bit 1U servers in the industry with redundant hot-swappable power supplies and fault-tolerant features suitable for clustering in enterprise computing environment. The systems complements the company�s RAID storage, NAS, SAN, SCSI RAID servers, SATA RAID and solutions for voice/audio data storage widely used in telephony and telecommunications applications. Model RS1007 and RS2007 computers and chassis are crafted with excellent cooling systems, dual hot-swappable (460 watts x 2 ) redundant power supplies, and hot-swap storage drives capacity up to 1TB for 1U version with single power supply or 500GB with redundant hot-swappable power supplies and 2.2TB for the 2U version. Model RS1007 includes two built-in Gigabit LANs, optional Serial-ATA RAID or Dual Ultra320 SCSI ports features and ECC Registered DDR 333/266 memory up to 12GB.Their blazing performance and reliability makes them excellent for wide range of enterprise computing such as telephony and call center management applications where 24 x 7 mission-critical operations is important. 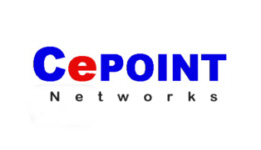 Cepoint Networks, LLC is a systems integration and consulting firm specializing in applied computing products and services for enterprise applications, telephony and telecommunications industry, Government, utilities and industrial markets. Products and services include turnkey rack mount fault-tolerant cluster servers for mission-critical applications and high performance computing, telephony systems for voice processing, video/audio conferencing, real-time large scale surveillance, message logging and telecasting and, rugged portable lunch box workstations for field applications, network engineers and technicians. 1U, 2U, 3U and 4U Fail-Resilient Raid storage, SAN, NAS and servers for audio and video data archives or real-time video/data streaming and VoIP, custom hardware and software integration. Introducing CePOINT Quad Xeon Dual-Core MP 7100 series server! Nashua, NH, USA. Nov.27, 2006 Cepoint Networks announced release of its new MP-7100 Dual-Core Quad Xeon multiprocessing , high performance, and high availability super server system designed for large scale processing and virtualization. The MP-7100 dual-Core Quad server is an addition to cepoint�s standard single-core and dual-core, dual processor versions. � Quad processor dual core provides multi-threaded in 1U solution. � IPMI 2.0 server remote management bundle with system. � System control fan speed to optimize the cooling.